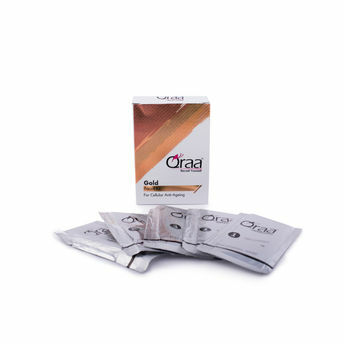 Qraa Gold Facial is a powerful anti ageing treatment, which provides thorough re-generation and nourishment to the skin. Infused with pure 24K Gold leaves, content of this Kit gives a natural luster and youthful radiance to your skin. The facial helps in retaining moisture in the skin as well as increasing flexibility and smoothness. It nourishes the skin to give it that natural glow. It revitalises your face and instantly gives you that luminous and radiant complexion.